Trump going after those West Virginia votes. Home > Blog menu > This page on Trump's Scam - Promising to Bring Coal Jobs Back. (or replaced), if I ever get back to this page. Around 2013, before fracking for natural gas really took off (with natural gas replacing coal in more and more electricity generating plants), I saw a TV interview with an out-of-work coal miner from West Virginia. This ex-coal-miner was pointing out that he had lost his job because of the increasing use of 'mountain top removal' (also known, more generally, as 'strip mining' or 'surface mining'). There is less need for manpower with 'strip mining'. With 'strip mining', the mining companies mainly need truck drivers and big-machinery drivers, rather than traditional miners --- a lot fewer people than they need for underground-tunnel mining. This man said he did not expect to see coal jobs coming back --- and this was before fracking brought a lot of natural gas onto the market (causing prices to plummet) --- and before utility companies really 'ramped up' the conversion of coal-fired electricity generating plants to natural-gas-fired. When fracking 'ramped up', the fracking-for-natural-gas industry applied a second-whammy to coal jobs. 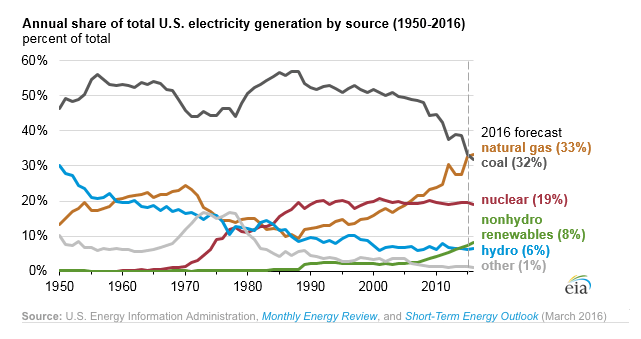 You can see from the graph above that around 1990, the use of coal for electricity generation started declining while the use of natural gas was increasing --- and around 2016, the use of natural gas was on track to exceed the use of coal. --- and this corroborated by others. more than political pie-in-the-sky with no basis in reality." it has been the coal industry itself that has wiped out most of those jobs. coal industry itself. And coal workers lost." us to produce more coal with very few miners." And if you think that those two factors (strip-mining and fracking) can be overcome, take note of the fact that a lot of new electricity generating capacity coming on-line around 2016 is from renewables ( wind and solar ). wind (increase of 168 billion kWh) and solar (increased 18 billion kWh). and from petroleum decreased 90 billion kWh. So there is a third coal-jobs 'whammy' coming --- renewables. To gather further information on some of these topics, you can try web searches like the following. 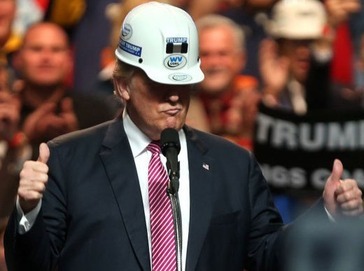 Around 16 February 2017, Trump had a 'dog-and-pony show' as he signed legislation with coal industry people looking on. Obama administration coal mining rule. It will be interesting to see if allowing coal mining companies to choke streams with 'mountain tops' is going to bring back jobs to coal miners. Anyone want to bet any money on that? If so, I'll cover that bet. Easy money. I am willing to bet hundreds of dollars that no significant numbers of coal mining jobs will come back during Trump's presidency. In fact, it is likely that coal mining jobs will decline on the order 10 to 20% during Trump's presidency --- according to graphs of declining coal use for electricity generation. Maybe the coal companies can convince the Chinese that eating coal will increase their sexual potency --- even better than rhino horn and the like. No amount of allowing coal companies to trash the environment is going to bring those jobs back. That is not going to counteract the relatively huge effects of 'strip mining' and 'fracking for natural gas' on coal mining jobs. West Virginians need to clean up those streams (stop bulldozing mountain tops into them) and generate jobs in different ways --- such as through tourism. Sell West Virginia as Little Switzerland. West Virginians, you had better get creative. Those coal mining jobs are not likely to come back --- no matter how many EPA regulations Trump repeals by executive order or by legislation. You have a better chance of creating jobs in the renewable energy industry --- wind and solar jobs. China is budgeting big time for such jobs. 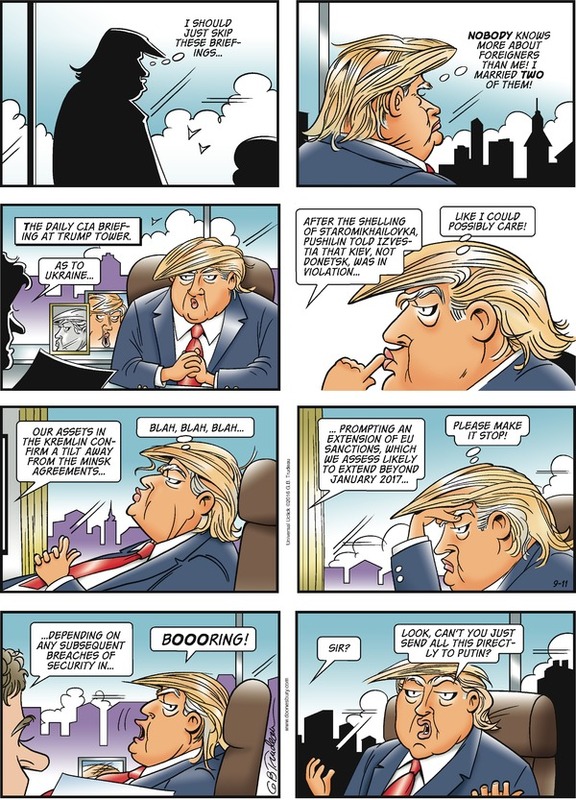 It appears that Trump, on the other hand, will take us into the past by sticking with 'what we know how to do' --- oil-and-gas --- as if they will be here forever. Not true. I guess that's what Trump means by 'Make America Great Again' --- try to go back to the 1950's again. How about looking to the future, Donald --- "Make America Greater'n Ever". That's it! Trump can ask Putin what to do about the coal jobs. Trump's Coal Jobs Scam (a promise that will surely be broken). the Back button of your web browser, a sufficient number of times. OR, use the History-list option of your web browser. Or you can scroll up, to the top of this page. Page was posted 2017 Feb 27.